So this is a complete curveball and Hail Mary wrapped into one. 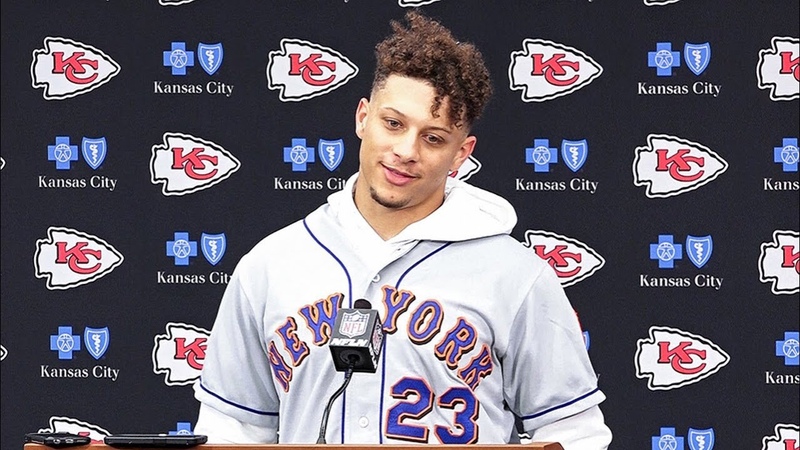 As most of us already know, young Patrick Mahomes II is the son of former Mets reliever, Pat Mahomes. Mahomes, who is the tenth overall pick in the 2017 Draft, just became the second player ever in NFL History to throw 50 touchdowns while also throwing over 5,000 yards on the season, the other Quarterback being Peyton Manning. This rare accomplishment puts him in extremely exclusive and elite company. Mahomes is on the way to becoming an all time great at the most difficult position in all of sports. His father Pat Mahomes was no stranger to pressure filled situations while pitching under the New York City lights however Patrick is taking his family name to another level with his outstanding ability and on field IQ. Mahomes Sr. only pitched 2 seasons (1999 & 2000) with the Mets where he had an impressive 13-3 record pitching over 150 innings. “MetsJunkies: Congratulations with young Patrick II’s success, I’m not very much into college football but I happened to flip a game on just in time to watch him sling something like a 65 yard pass. His athleticism probably doesn’t surprise you but is there an aspect to his game that surprised you & caught you off guard, in a good way of course. MetsJunkies: Can we get a scouting report on your son Patrick II? Next Happy New Years from Mets Junkies! !